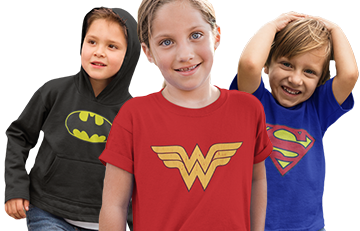 The 50% cotton, 50% polyester Wonder Woman Symbol & Stars Women's T-Shirt is an exceptional shirt from top-notch manufacturer Junk Food! 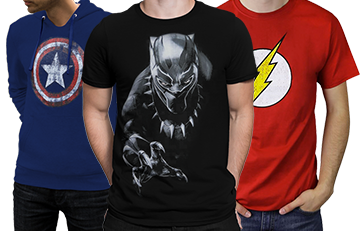 That means that you'll get a fantastic shirt that is sure to make even an Amazonian blush. 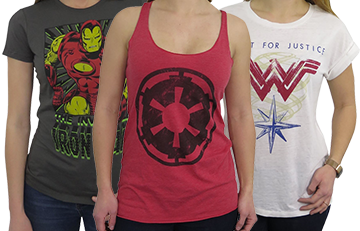 What makes this heather-charcoal Wonder Woman t-shirt the best of the best? Because it's the classiest of the classics, with a purposely distressed Wonder Woman symbol resting on Diana's red-trimmed, star-filled shield. And I mention "heather" due to the marbling effect created by an interweaving of lighter and darker threading. Right, it's a western appropriation of Amazonian high-fashion. If one considers oneself a true Wonder Woman fan, this particular t-shirt will extol that immaculate truth. Great quality. My wife looks very cute in this one. I got a size medium for my mom, who is a petite 5'2" and it was very small! Cute but small. Love this wonder woman tshirt great fit looks exactly like the picture. Love the design! Wore it to the Justice League movie. Fits perfect!! Shirt sizing and material quality is very good.